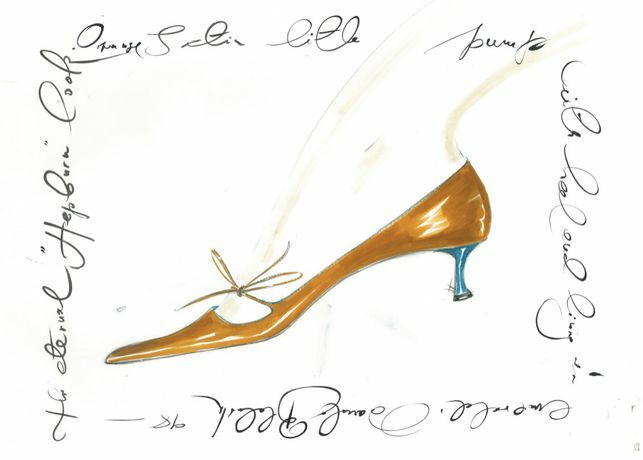 Ideas Get Dressed presents original preparatory works by Zac Posen, Manolo Blahnik, Roland Nivelais, Raquel Davidowicz, Sara Zielinski, and Geova Rodrigues. We hear tidbits of the mayhem surrounding Fashion Week, and of the peculiarities that inspire the designers we love, but so little is known about the highly personal and individualised process that designers employ when thinking of and creating their work. In ‘Ideas Get Dressed,’ these rituals are examined and explored. From illustrations, sketches, and scribbled notes, to a mannequin draped with cloth, fabric sewn onto a canvas, and unique miniature human-like dolls, this exhibition calls for a new understanding and appreciation of ‘design’ – the ‘intention that exists, or is thought to exist’ behind clothing and fashion. Part of proceeds of exhibition sales will go to USA for UNHCR, The United Nations High Commissioner for Refugees, to whom curator Emma Ferrer is an ambassador.